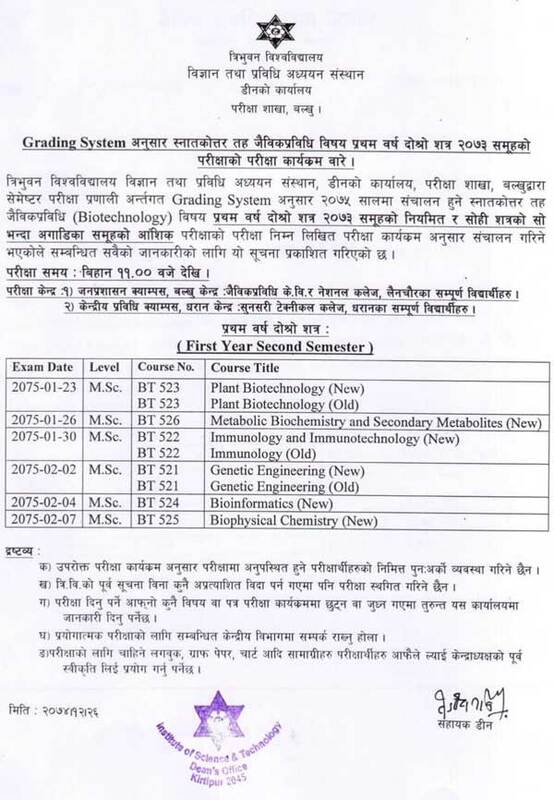 Institute of Science and Technology, Tribhuvan University has published the exam routine M.Sc. Biotechnology 2073 group 1st year 2nd semester. The examination will be held in 2075 B.S.